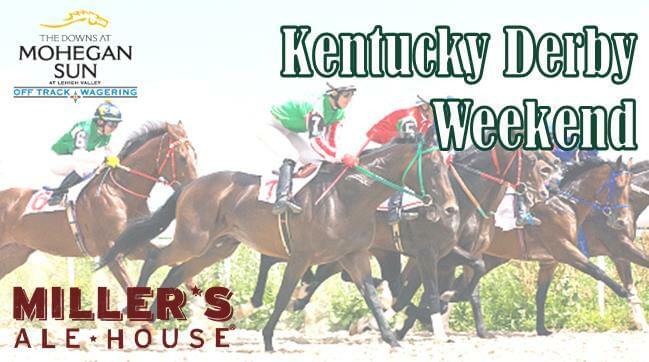 The Kentucky Derby happens next weekend, and this weekend The Hawk gives you a shot to possibly win THOUSANDS at the Downs at Lehigh Valley! All weekend long, listen for the “Call to the post” bugle, then be the 9th caller to 610-720-9999. Pick a horse number between 1 and 20. If your horse wins, you’ll get a Downs wager voucher for $250! Place wins a $100 voucher and Show nails a $50 voucher. All qualifiers score a 25 gift certificate to Miller’s Ale House, across from Target in the Airport Plaza in Allentown. This year’s “run for The Roses” could mean thousands in cash… for you! Listen for the “Call to the Post” bugle to win all weekend long, from 99.9 The Hawk!